1 of 23Living room with beautiful city skyline views. 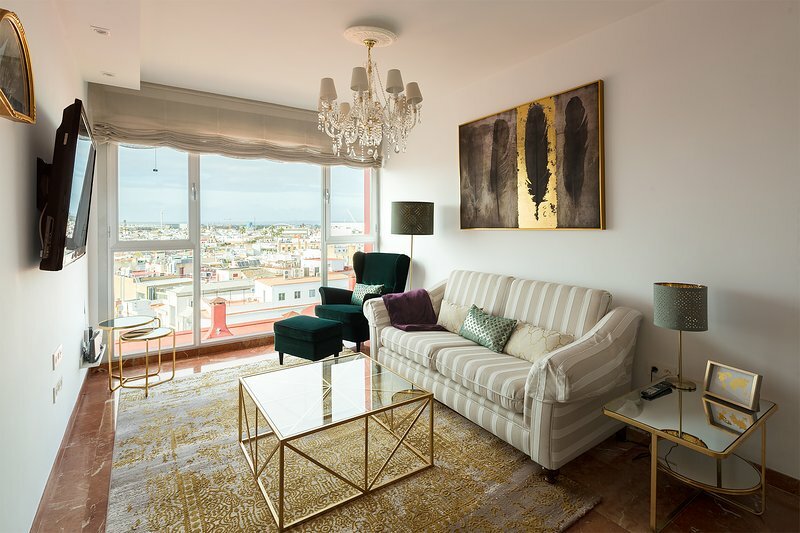 The apartment is centrally located on calle San Pablo, just 5 minutes walk from the Cathedral. 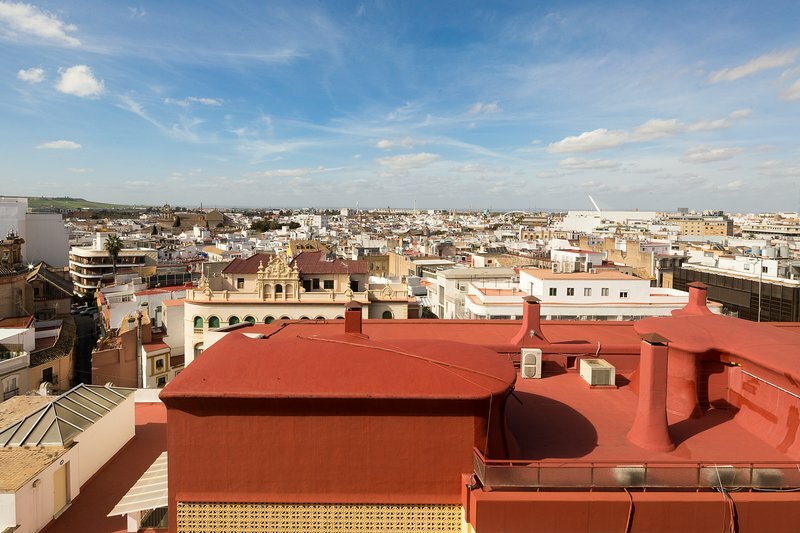 El Centro is the neighbourhood at the very heart of historic Seville. 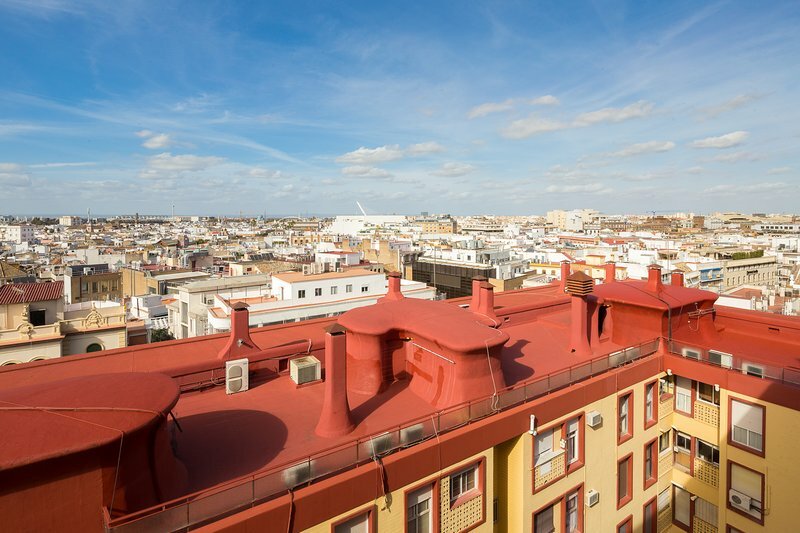 With the majestic Cathedral at your doorstep, el Centro begins at the Plaza de San Francisco, location of the elaborate City Hall, one of the best examples of plateresque architecture in Spain. The City Hall leads you to the main shopping area with it´s famous parallel shop-lined streets: Sierpes and Tetuan. This busy area is the place to come for clothes, sporting goods, jewellery and Sevilla Feria fashion: shawls, flamenco dresses, castanets and fans... The Palace of the Contesa de Lebrija is nearby, home to the famous Pan Mosaic which dates from roman times.